This will be a short review. At least I hope to make it so. 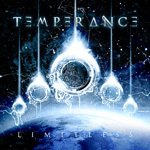 There's not much to say about Temperance's second album, Limitless, that hasn't been said about the first album. 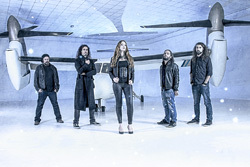 The Italian band continues to bring their bombastic, often symphonic, progressive power metal. It's quite possible the "progressive" nuances have been heightened. But the power metal definitely remains. As do the female lead vocals. What has been bumped up is the male dirty/death vocals. They're definitely more prominent, and equally horrible and a hindrance to the music. 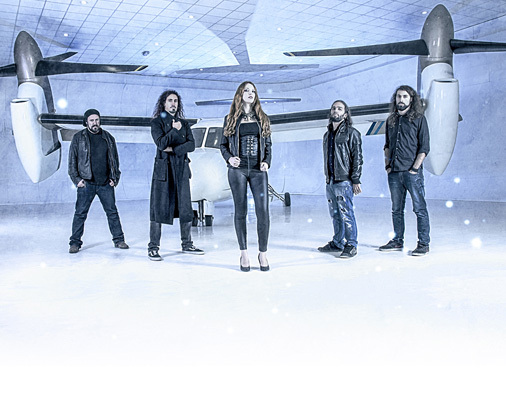 Chiara Tricarico is a fine vocalist, strong and focused. But the male dirty vocals add absolutely nothing favorable to the music. Because of this, by the time I got to the sixth track, Here & Now, I was basically done with Limitless (though I did listen to the entire album once). I just wanted the guy to shut the hell up. Otherwise, the progressive power metal is solid stuff, the strength of this album. But unfortunately, I won't be spinning it again anytime soon, if ever. For Limitless, Temperance has bumped up the male dirty/death vocals, which are basically horrible and a hindrance to the album. Otherwise, the progressive power metal is the strength of the album.